The webcast will take the attendee on a journey through the threat landscape taking in sights such as the latest activity on Trojans and viruses, how the bad guys are stealing intellectual property through the use of malware, how they broke into RSA and prevented Iran getting the nuclear bomb. We will also touch on the future of cyber warfare and how hacktivism has changed the threatscape, finishing off with rounding up the usual suspects. Lee Lawson, head of the Security Testing and Response teams for EMEA will discuss the cyber threats currently facing organisations in the UK and across the globe. Lee will touch on some recent high-profile examples and also evaluate the future of cyber warfare describing how hacktivism has changed the threat landscape for the foreseeable future. 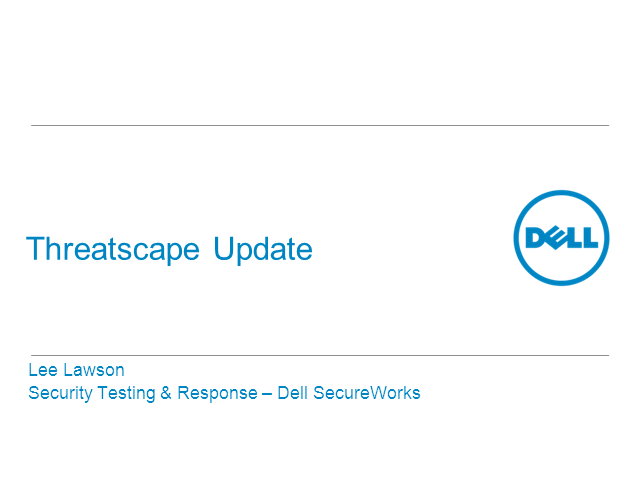 •What has Dell SecureWorks observed across its client base in 2010, and what 'new' behaviours have been identified?